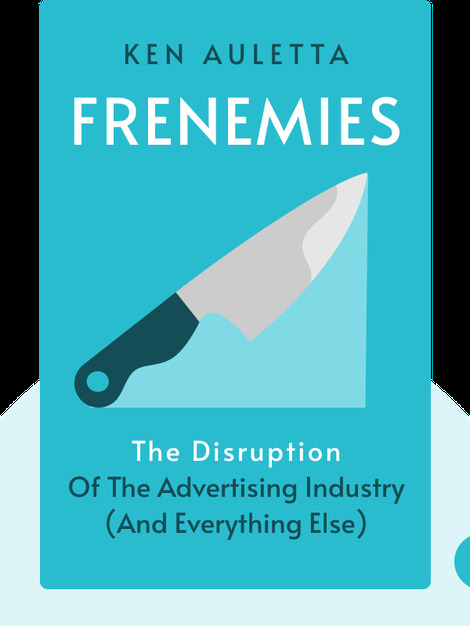 Frenemies (2018) explores the forces that are currently disrupting the traditional advertising and marketing industries. 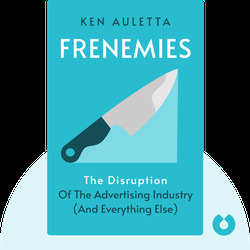 It looks at how the internet age has forced the advertising industry to change and adapt, specifically how technology, science and customization have revolutionized the role of the traditional advertising agency. Since 1993, Ken Auletta has written the Annals of Communications for the New Yorker. He is also the author of 12 books, including the New York Times best seller Googled: The End of the World as We Know It.